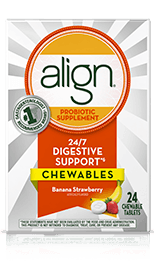 Probiotics are good bacteria that are essential for many vital body functions, including a healthydigestive tract. 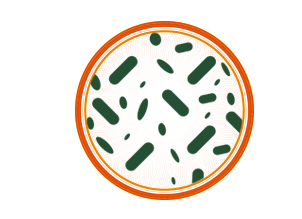 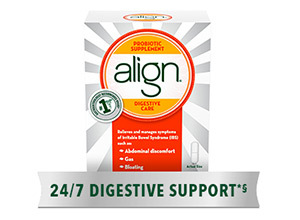 Common issues such as diet, changes in routine, travel and stress may disruptyour natural balance of good bacteria. 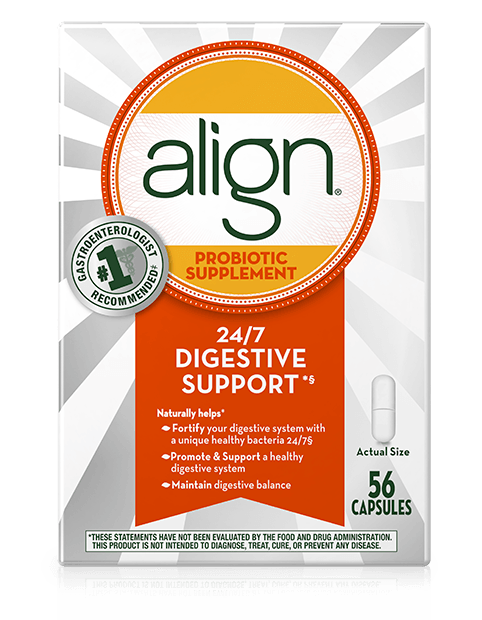 Probiotics can help maintain that digestive balance. 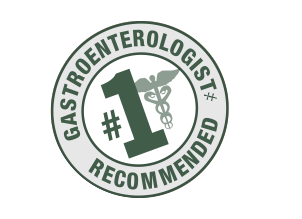 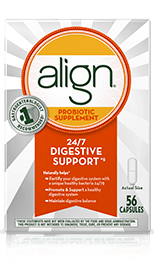 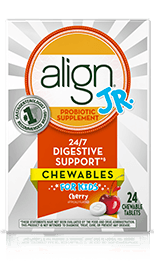 Align is the #1 gastroenterologist recommended probiotic for 8 years in a row, and isrecommended twice as much as any other probiotic supplement.‡ It is also the #1 doctor-recommended probiotic.‡ Only Align contains Bifidobacterium 35624™, a unique natural probiotic strainoffered by no other probiotic product, including store brands.